Dr. Sayeed and her husband reside in the area with their two lovely daughters. They enjoy traveling, hiking, cooking, and reading. 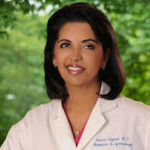 Dr. Sayeed cares for women in all stages of life with an emphasis on health maintenance and prevention. She enjoys guiding women through their annual care and treating them when they have concerns. She performs outpatient procedures including laparoscopy and hysteroscopy, as well as minimally invasive and major gynecologic operations. Dr. Sayeed provides comprehensive obstetrical care to promote a healthy mother and child. Dr. Sayeed completed her residency in Obstetrics and Gynecology at The University of Texas Health Science Center in San Antonio. 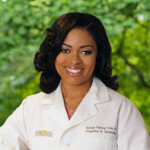 She earned her undergraduate degree from The University of Houston and holds a medical degree from The University of Texas Medical School at Houston. She is licensed by the Texas State Board of Medical Examiners and is board certified by the American Board of Obstetrics and Gynecology. 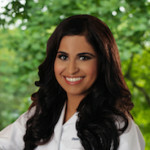 Dr. Sayeed has practiced in Katy and west Houston since 1999. She is a long-time resident of Texas and is conversant in Spanish.